With a House of Representatives vote on patent reform looming, patent owners and practitioners must consider what legislative changes such as a first-to-file system, new post-grant review procedures and an end to fee diversion will mean for them in practice. 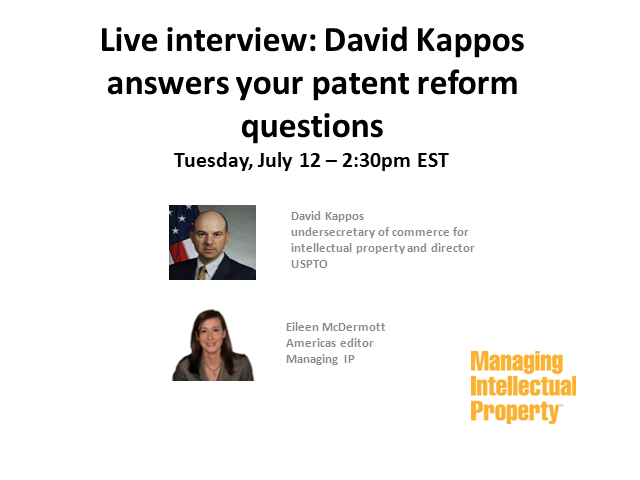 In this live interview, Eileen McDermott will pose your questions about patent reform to USPTO director David Kappos. Submit your questions for Kappos anonymously when you register for this free webinar, which is the first in a series of webcasts examining impending changes to the US patent system.